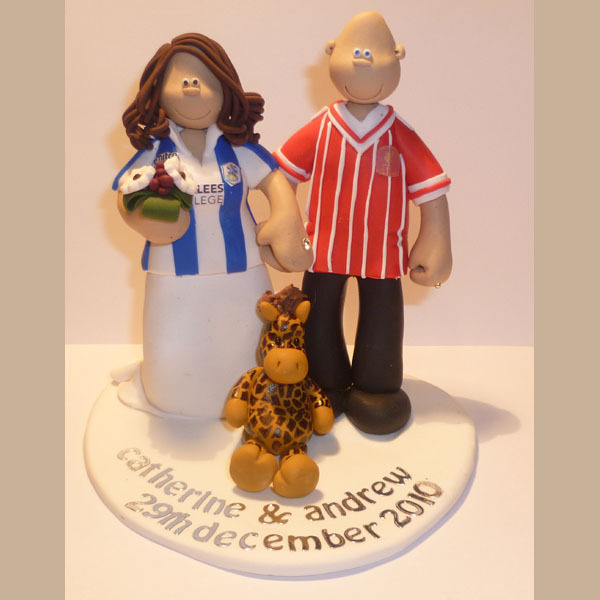 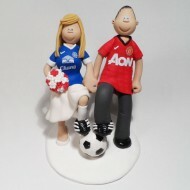 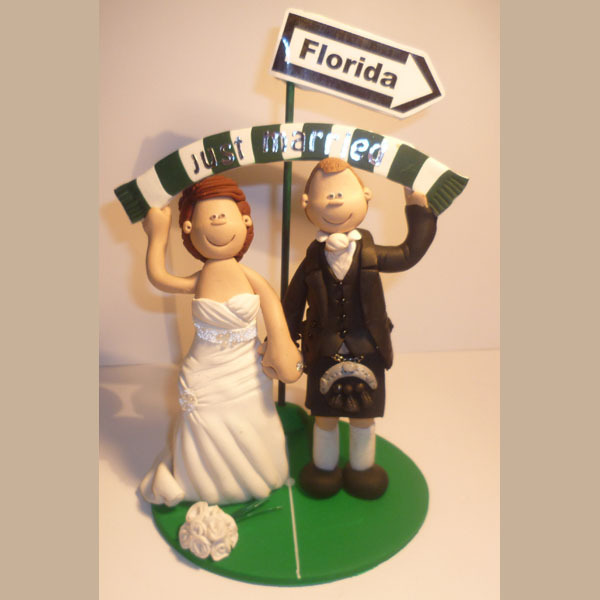 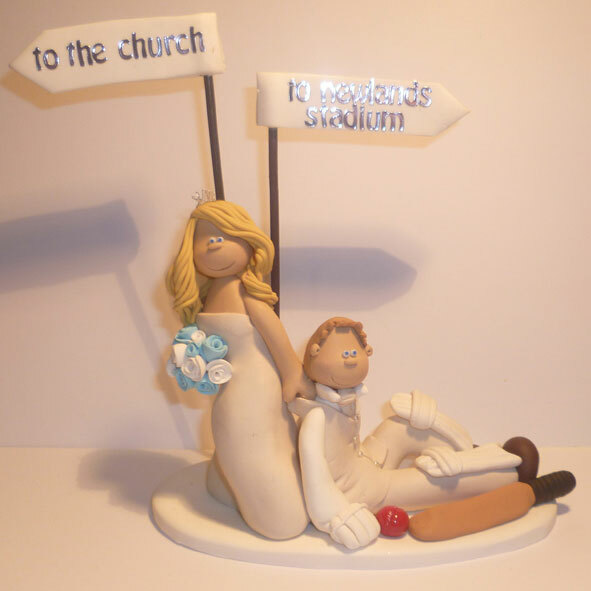 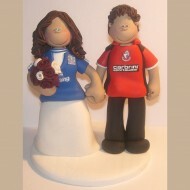 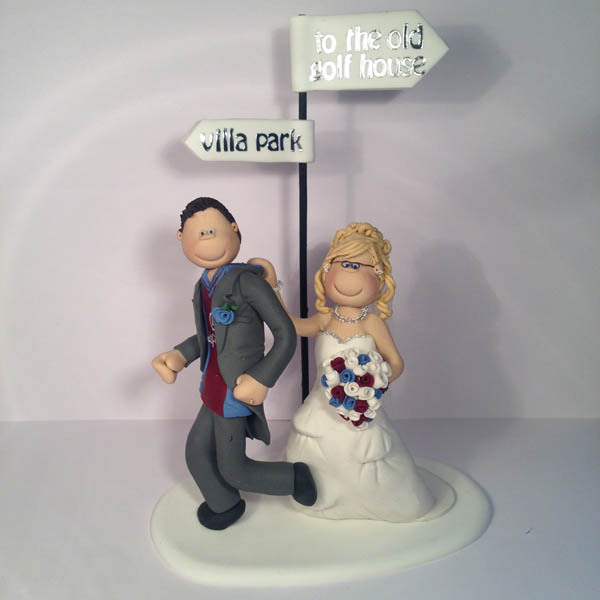 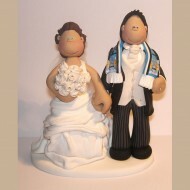 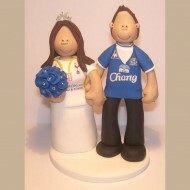 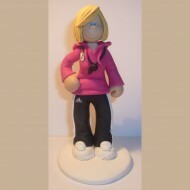 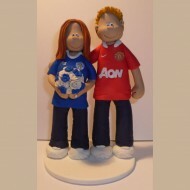 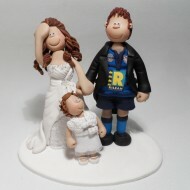 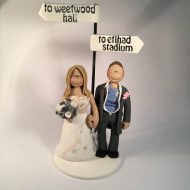 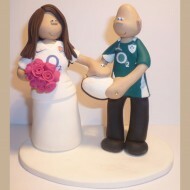 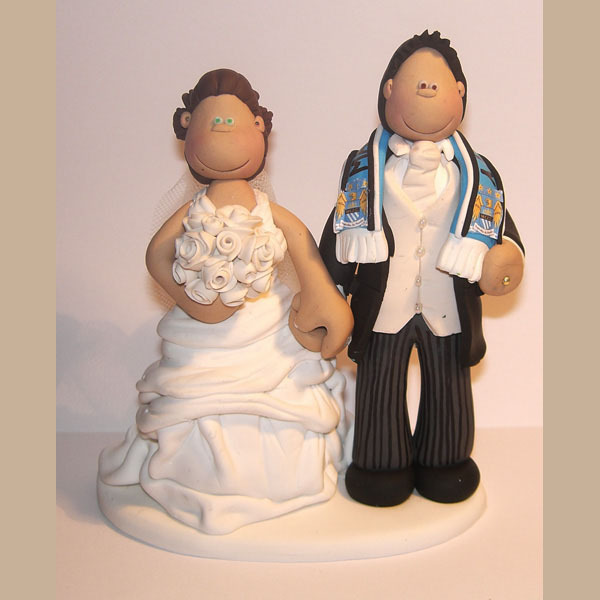 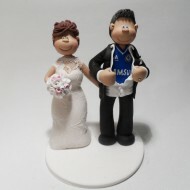 A Manchester City FC themed cake topper with signs to both venues! 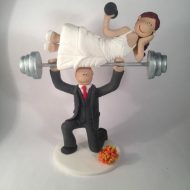 An incredibly strong weightlifter pressing his bride to be! 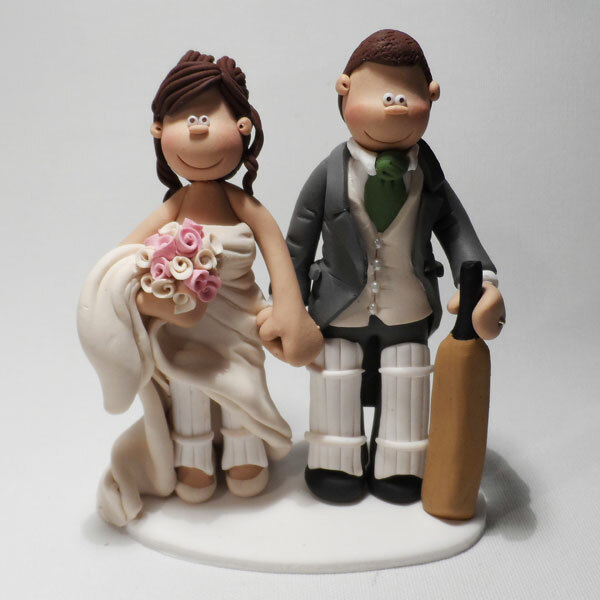 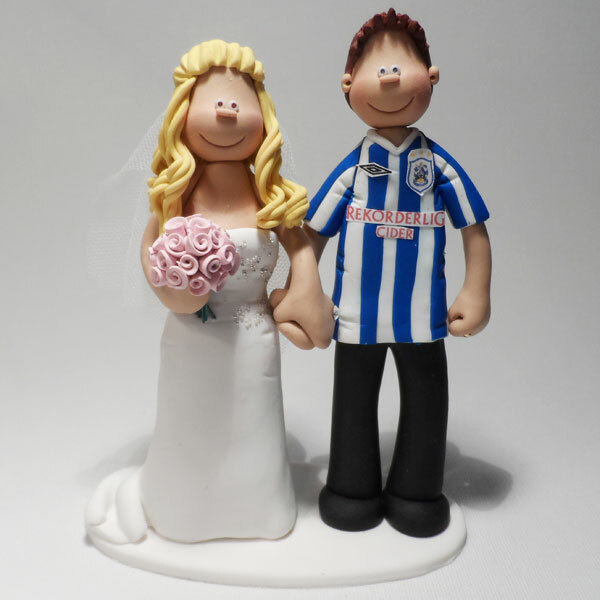 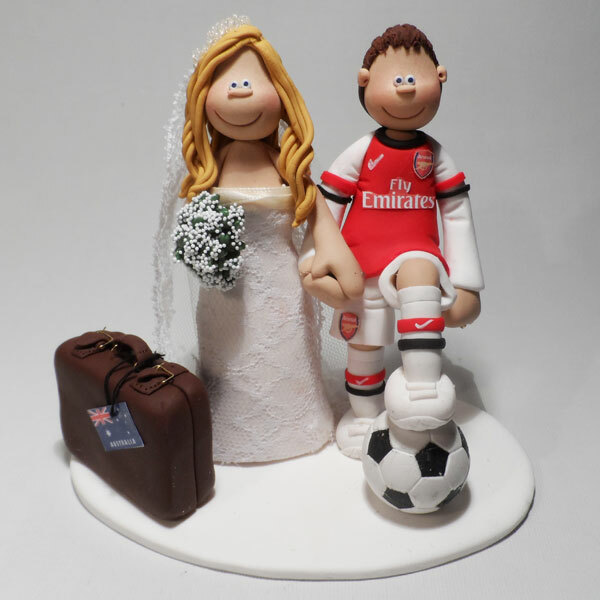 Another groom with a decision to make – Football or Wedding? 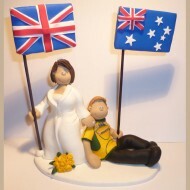 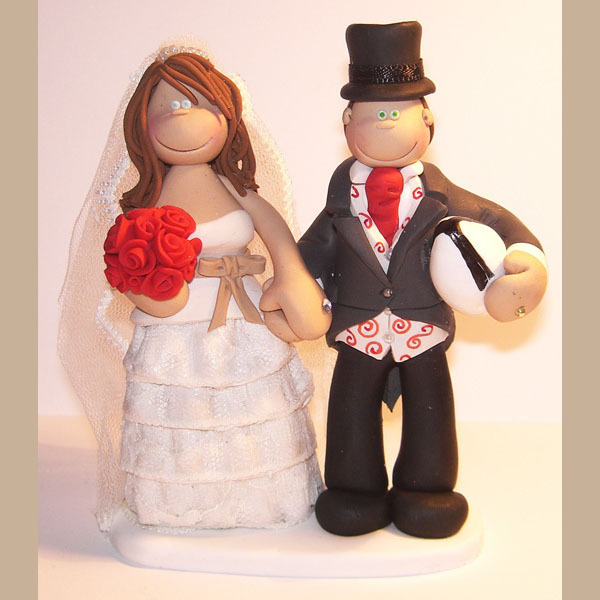 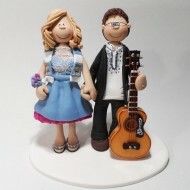 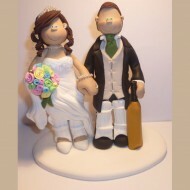 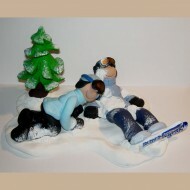 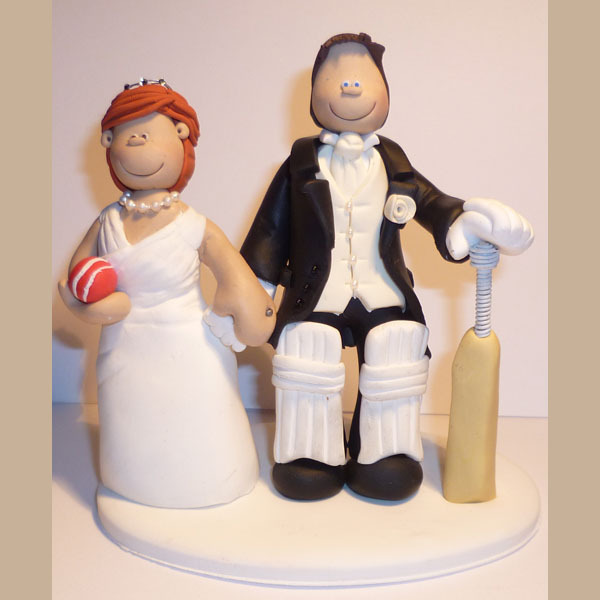 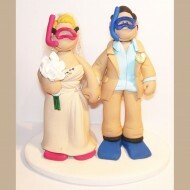 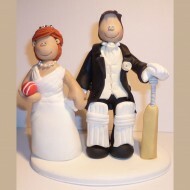 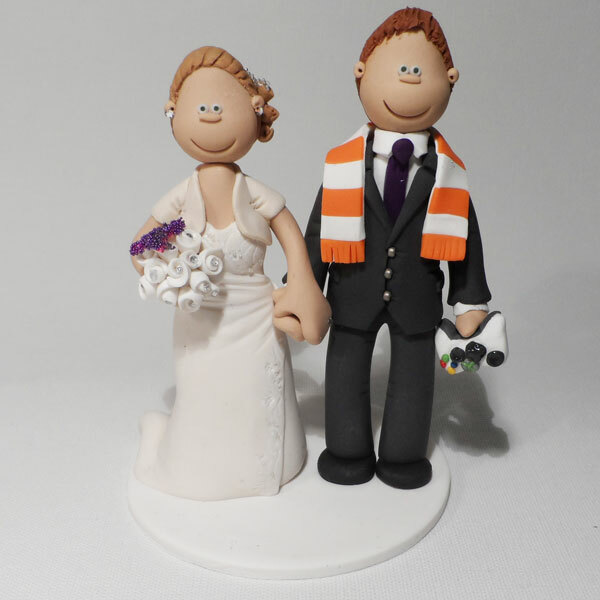 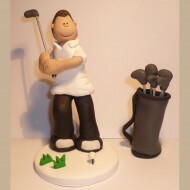 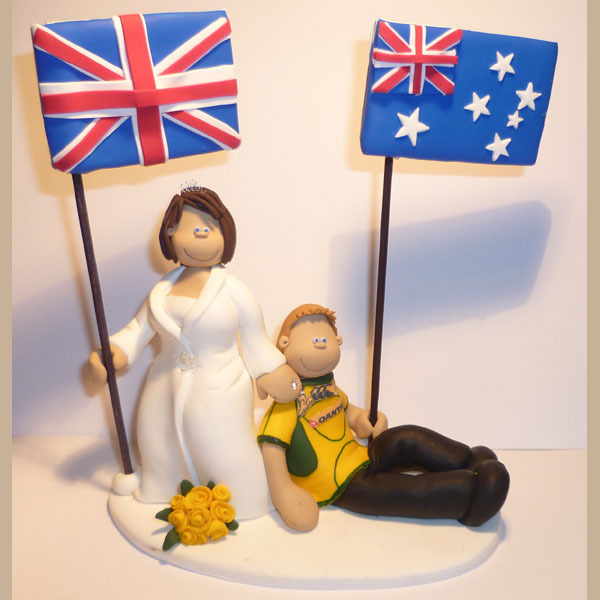 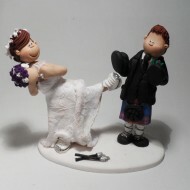 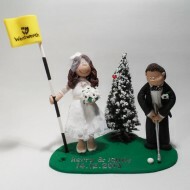 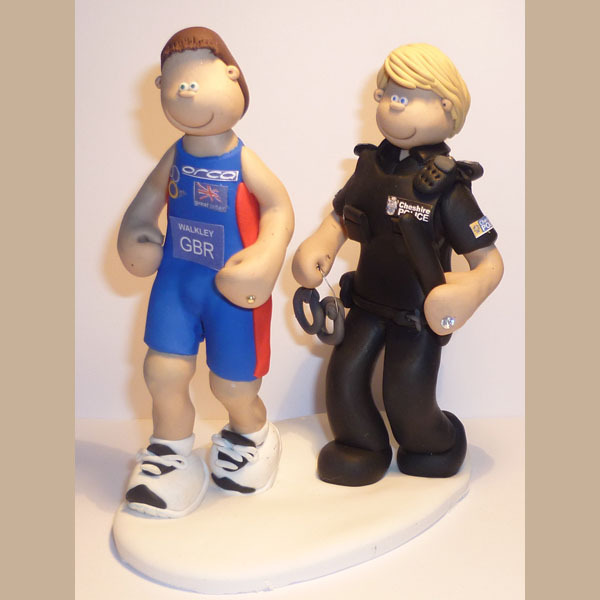 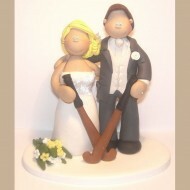 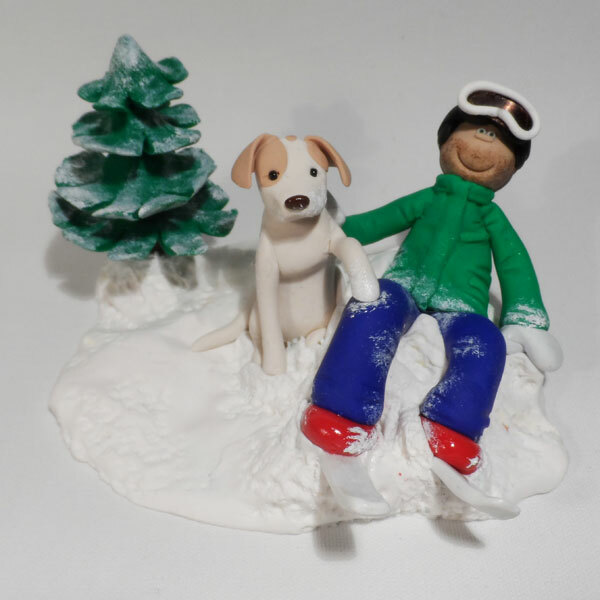 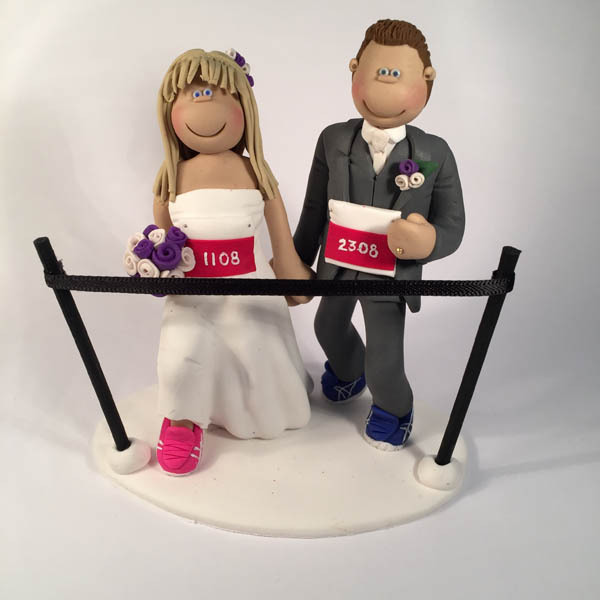 The orange suit in this cake topper is certainly a talking point! A very reluctant groom being dragged to his wedding! 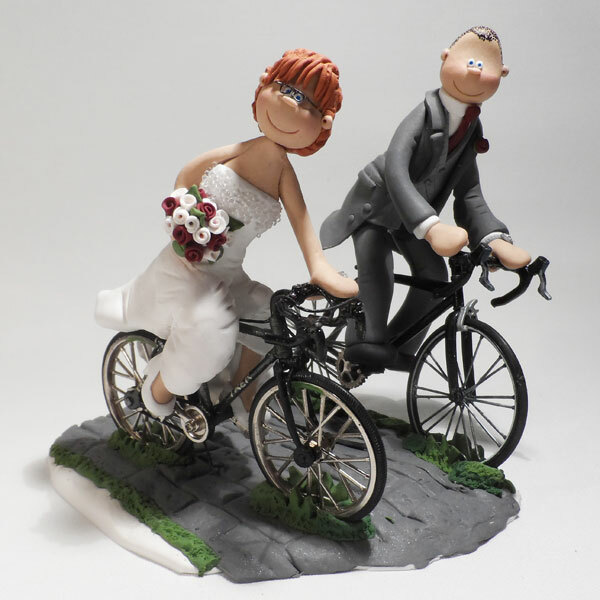 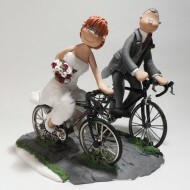 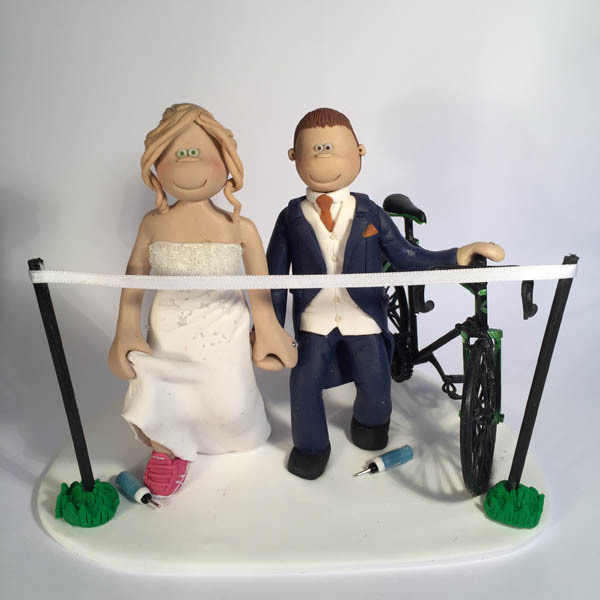 A cycling cake topper with the bride and groom on their bikes! 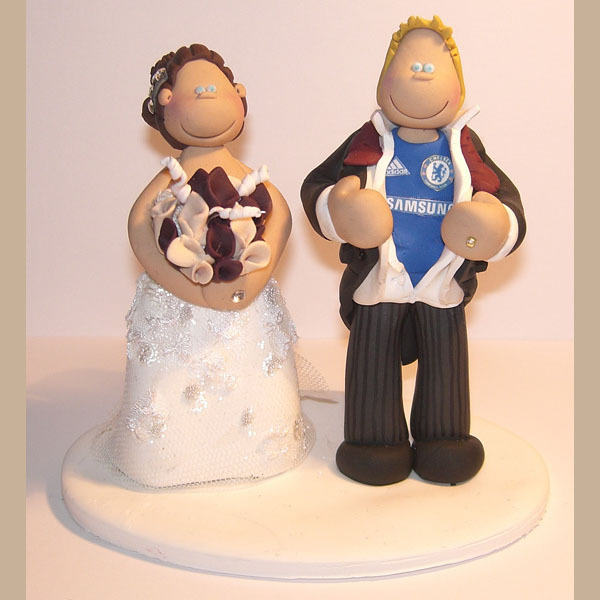 A groom sneaking in his Chelsea shirt to his wedding day! 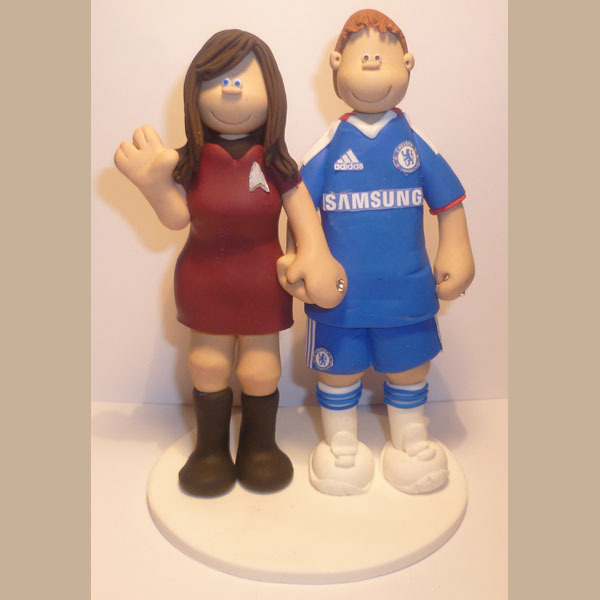 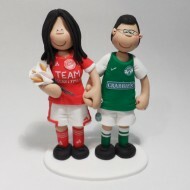 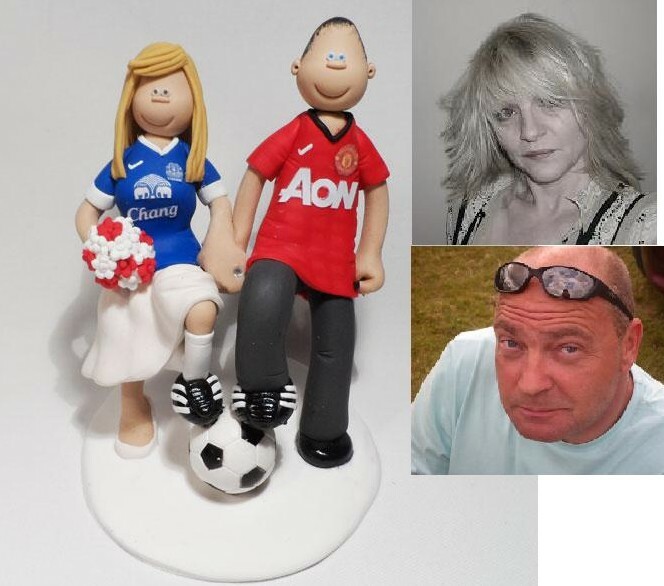 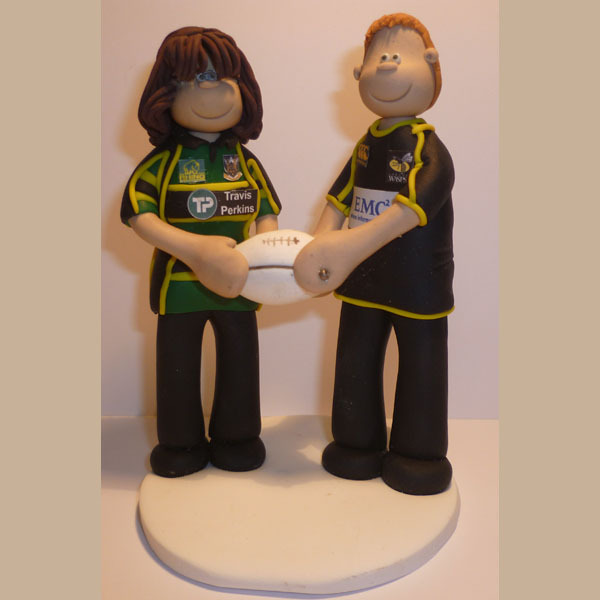 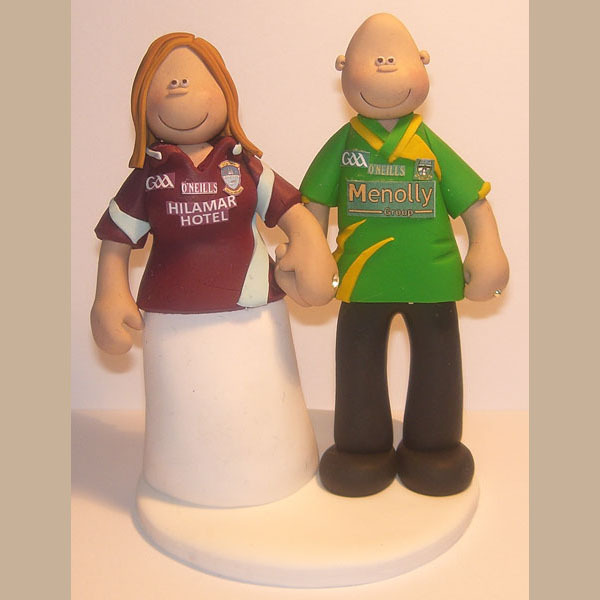 We have no idea how this couple live together with their football rivalries! 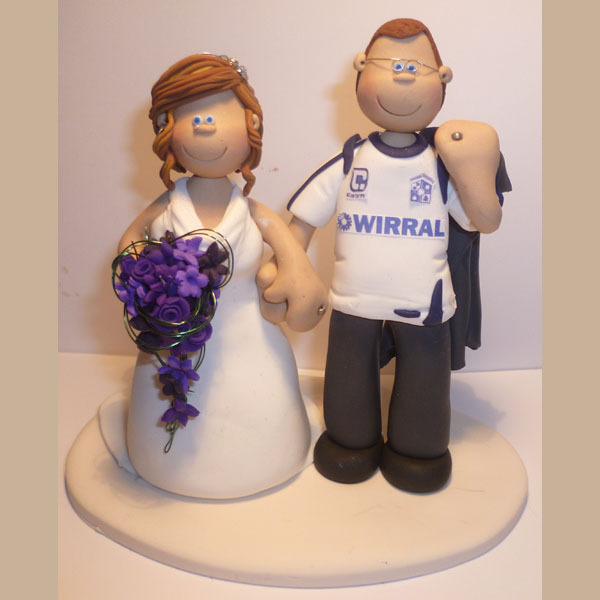 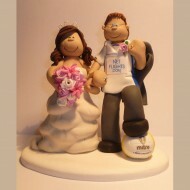 This bride wasn’t too happy her groom turned up in his rugby shirt! 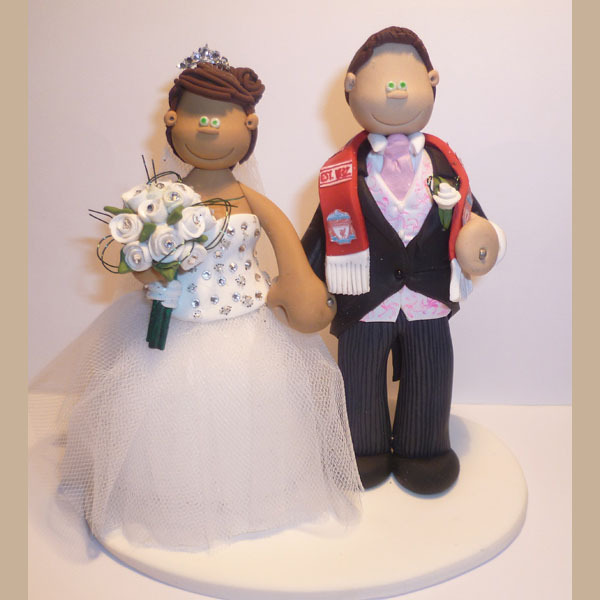 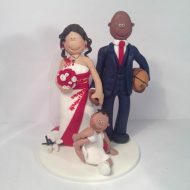 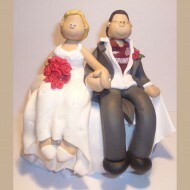 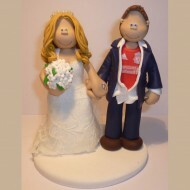 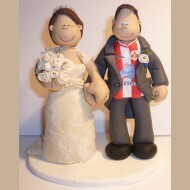 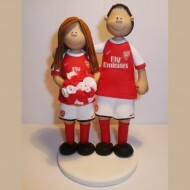 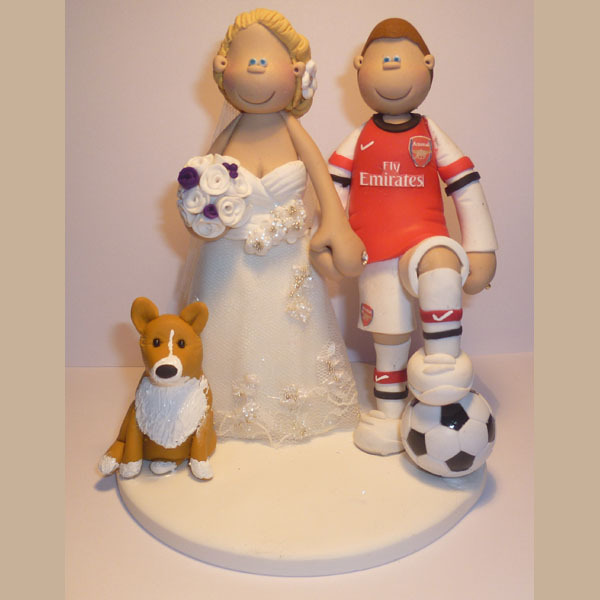 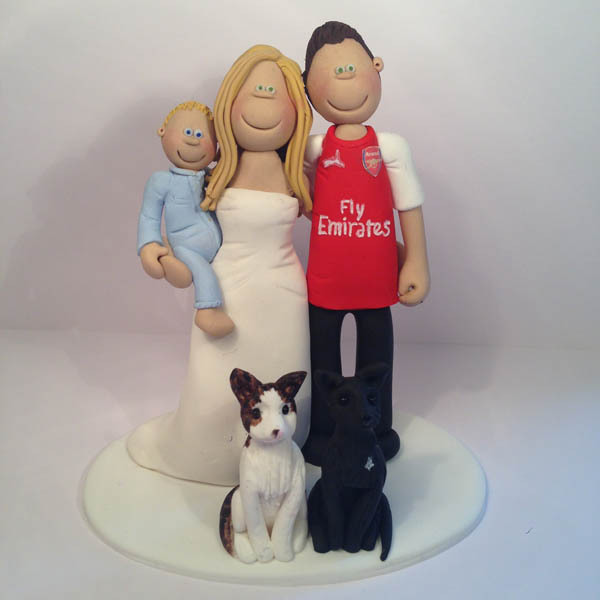 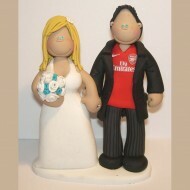 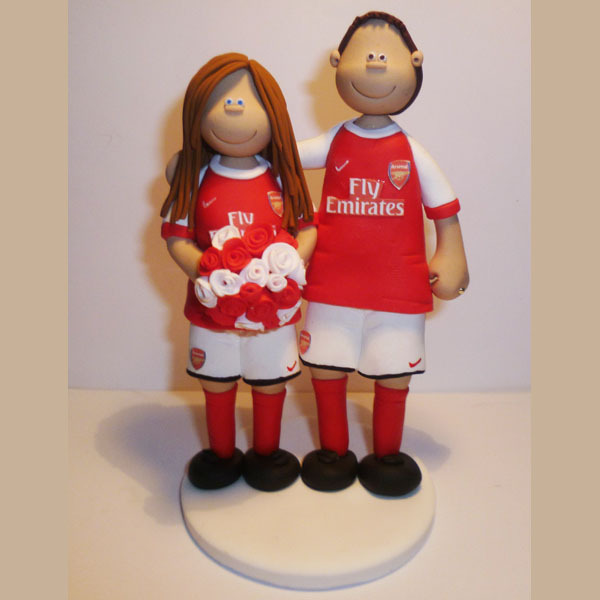 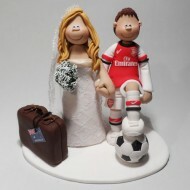 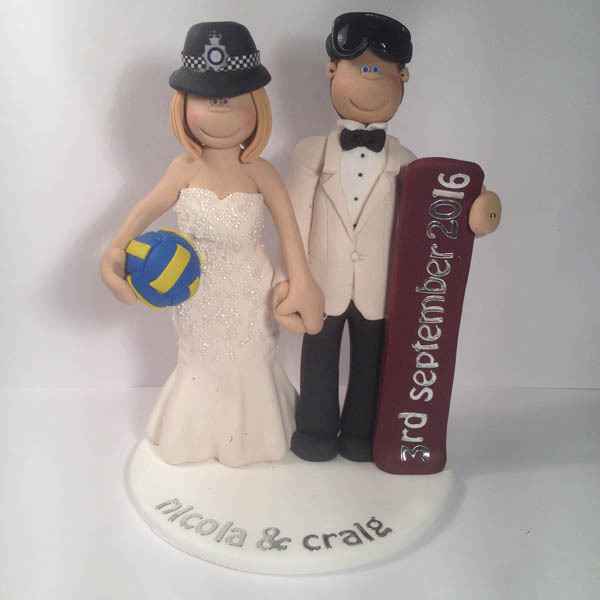 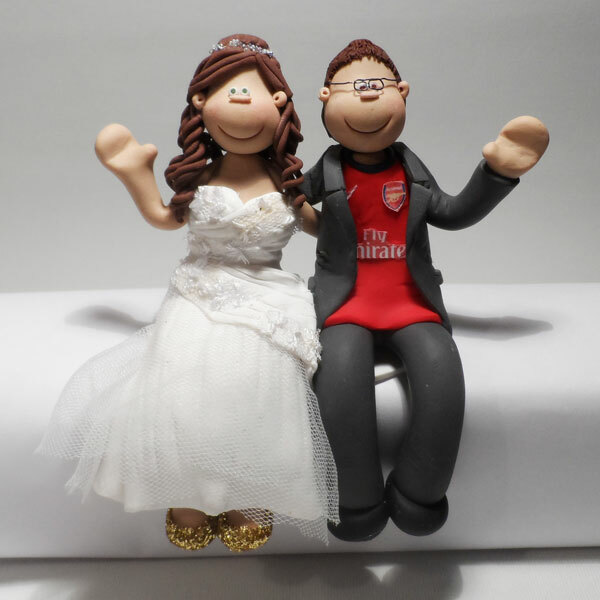 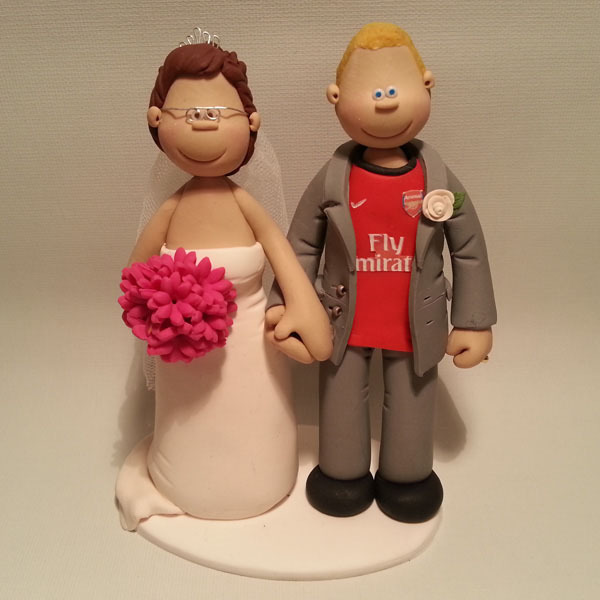 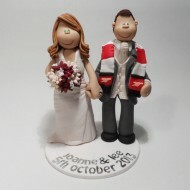 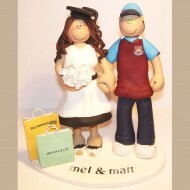 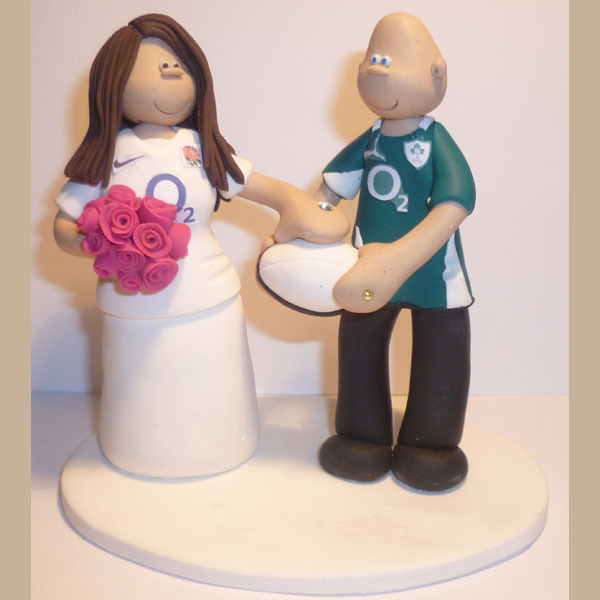 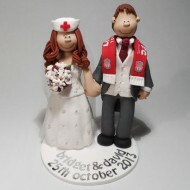 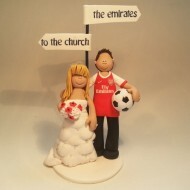 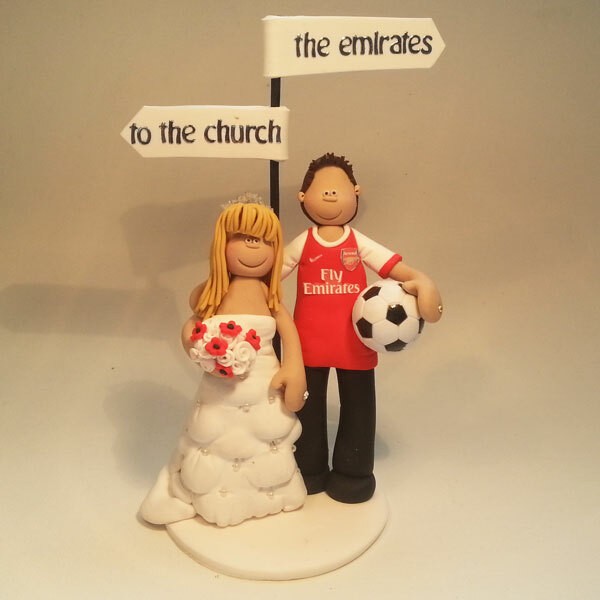 This bride in this football cake topper played for Arsenal Ladies! 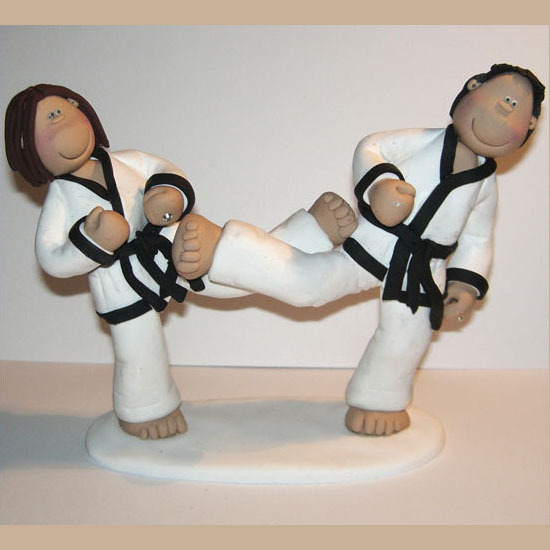 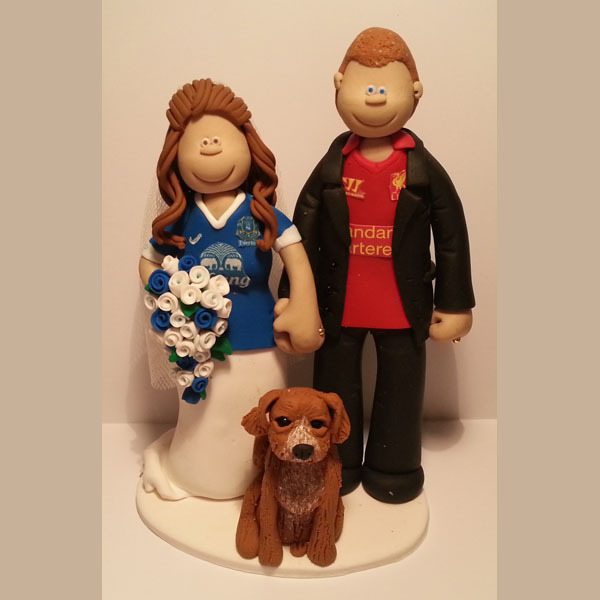 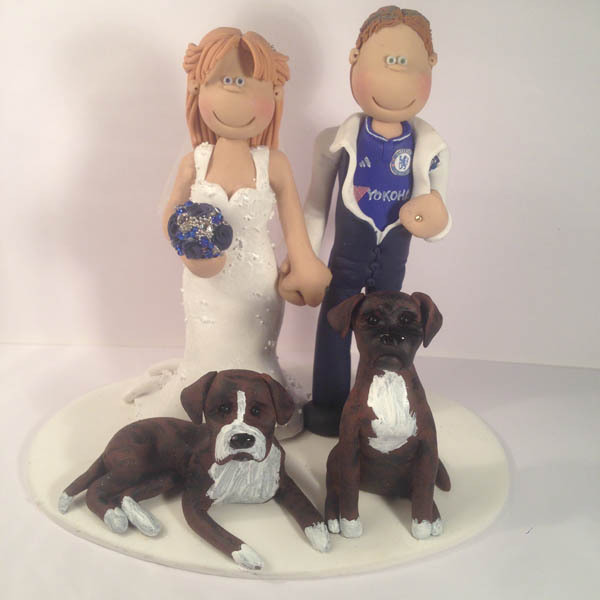 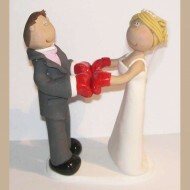 A kick boxing bride showing her groom and dog who’s boss! We’re not sure which direction this groom wanted to go in! 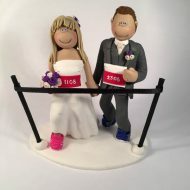 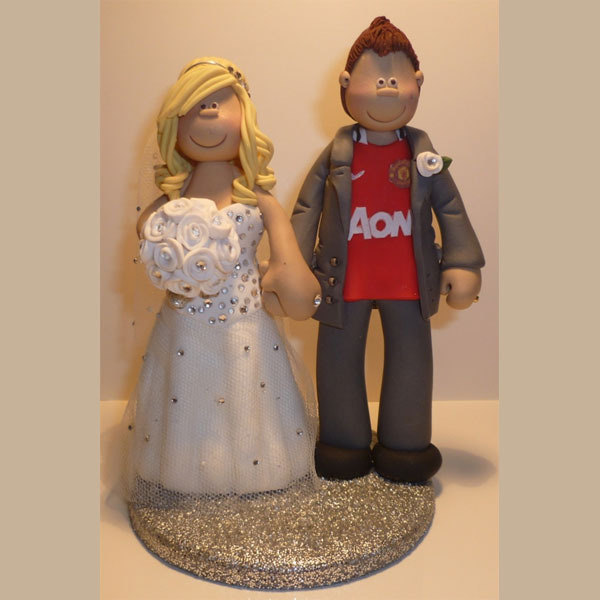 A very sparkly themed wedding cake topper made for a friend! 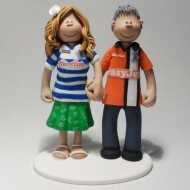 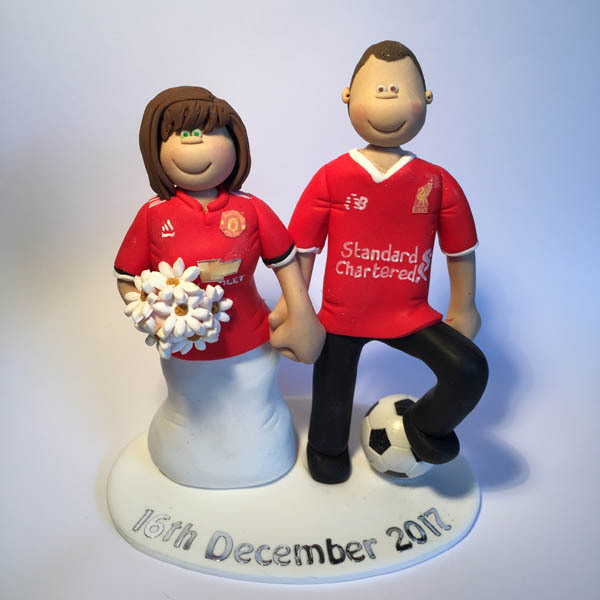 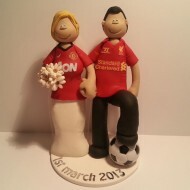 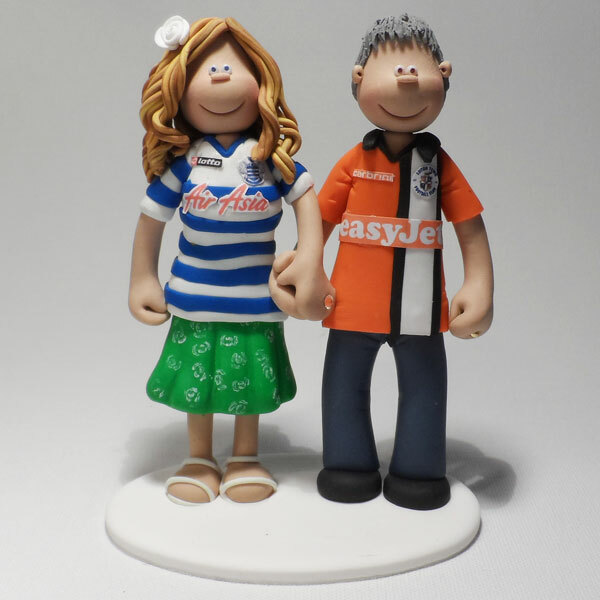 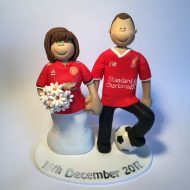 A couple with a passion for football but for opposite teams! 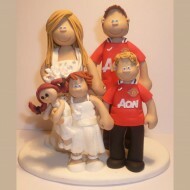 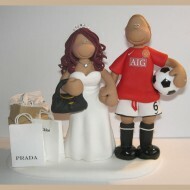 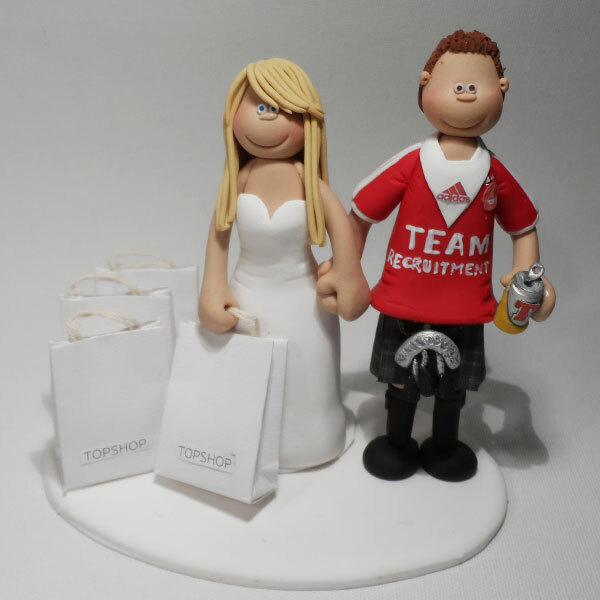 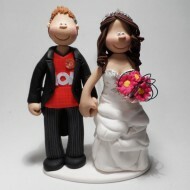 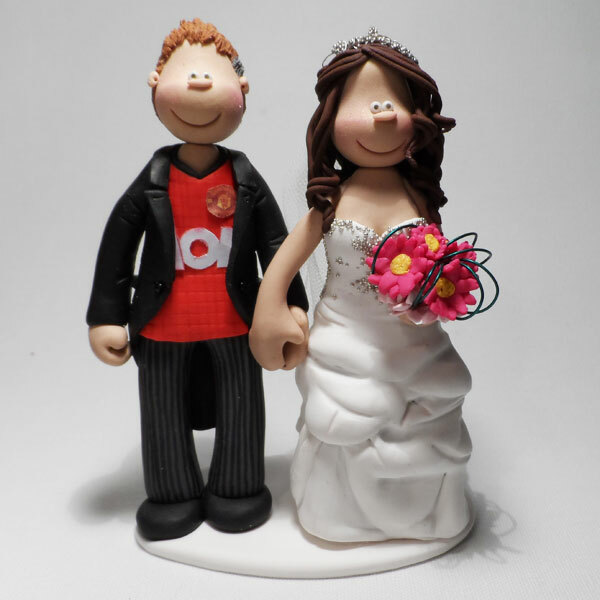 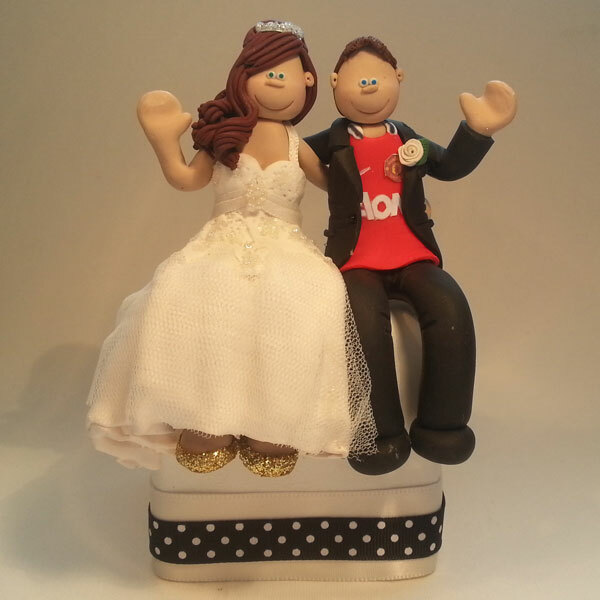 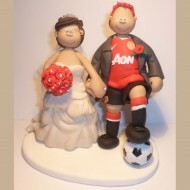 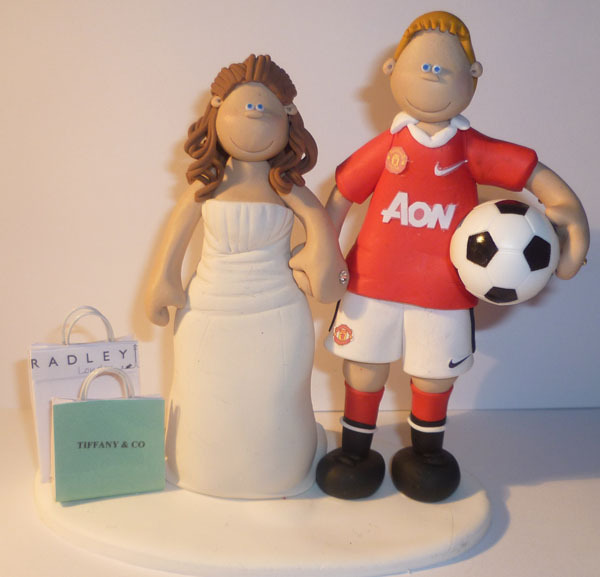 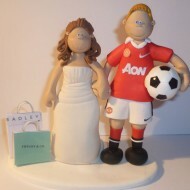 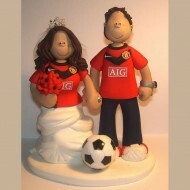 Another Manchester United fan with his shopaholic bride! 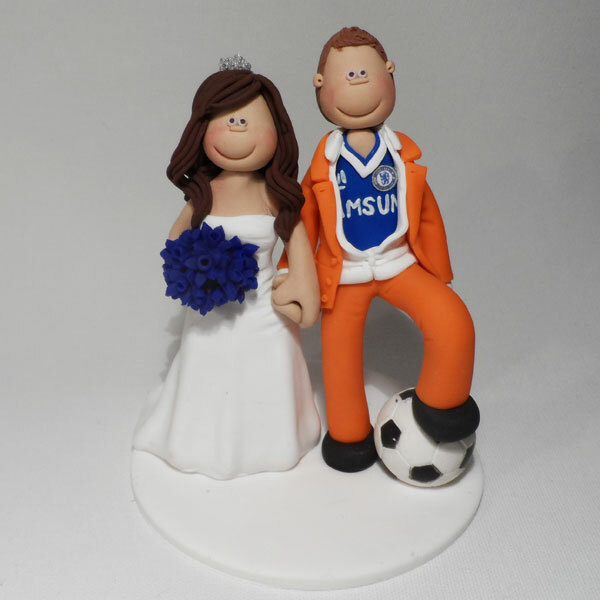 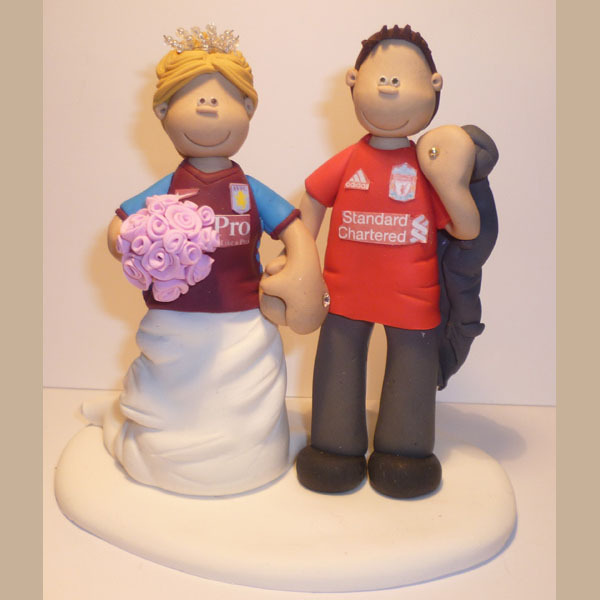 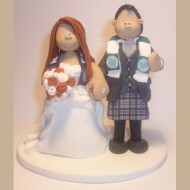 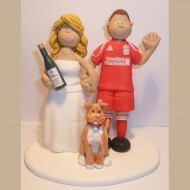 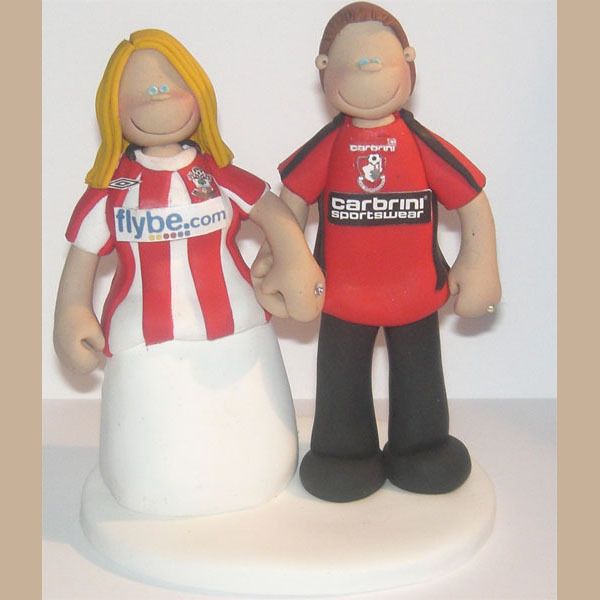 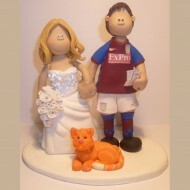 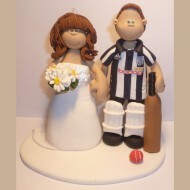 A couple putting aside their footballing teams to get married! 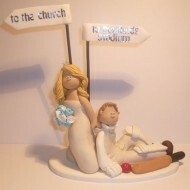 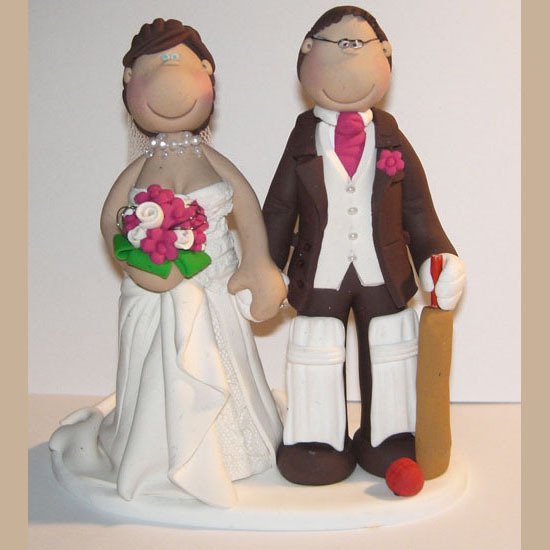 A cricketer in his full gear being dragged to the church! 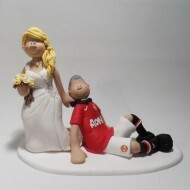 The groom in this topper showing off his second love! This Arsenal supporting couple are a perfect match! A Man Utd fan and his bride waving to their guests! 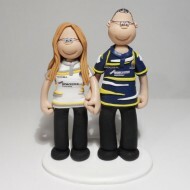 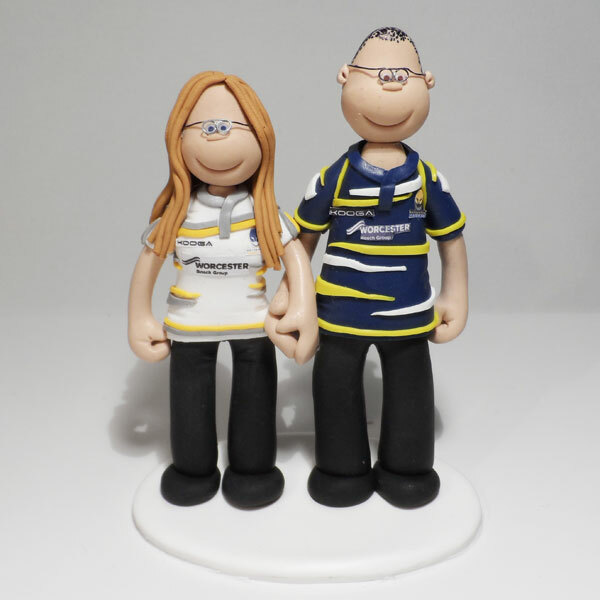 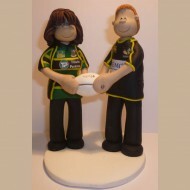 A bride dragging her Rugby fan groom down the aisle! 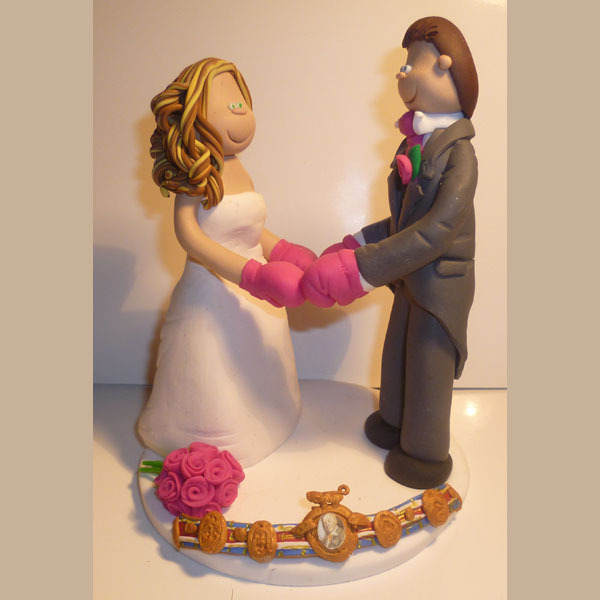 A bride and groom touching pink boxing gloves in this topper! 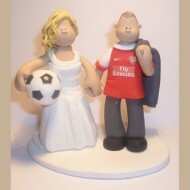 A bride refusing to give her Arsenal fan groom his ball back! 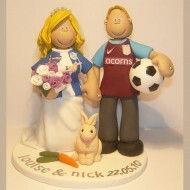 Fans of Aston Villa and Sheffield Wednesday and their rabbit! 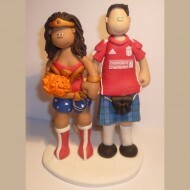 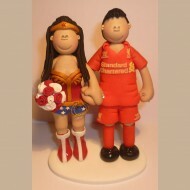 Another Liverpool fan, this time with his Wonderwoman! 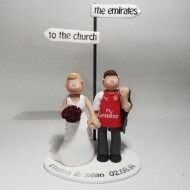 A groom bringing his love for Arsenal to the wedding! 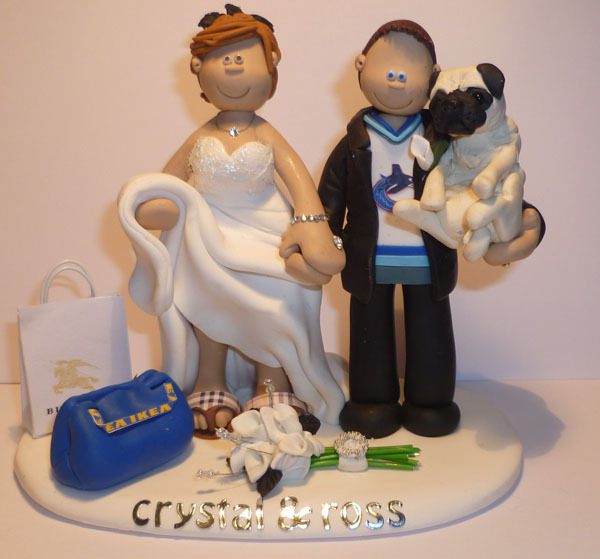 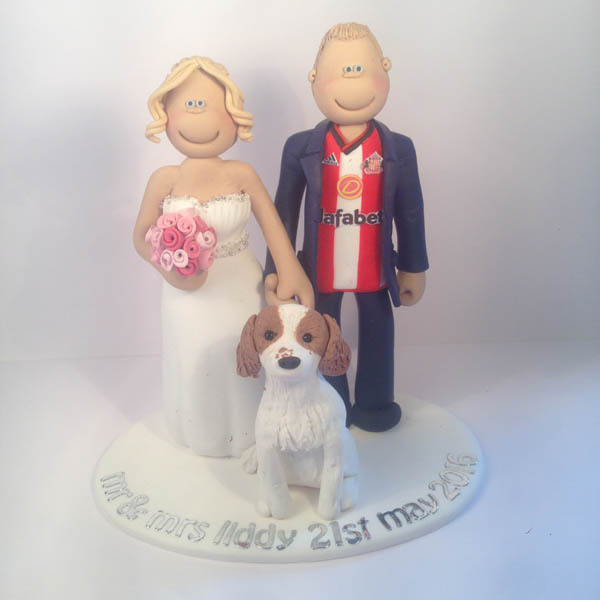 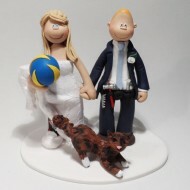 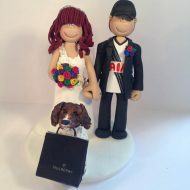 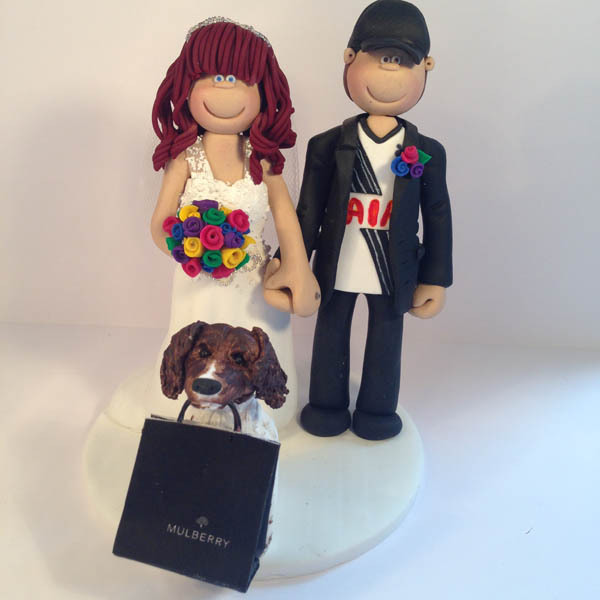 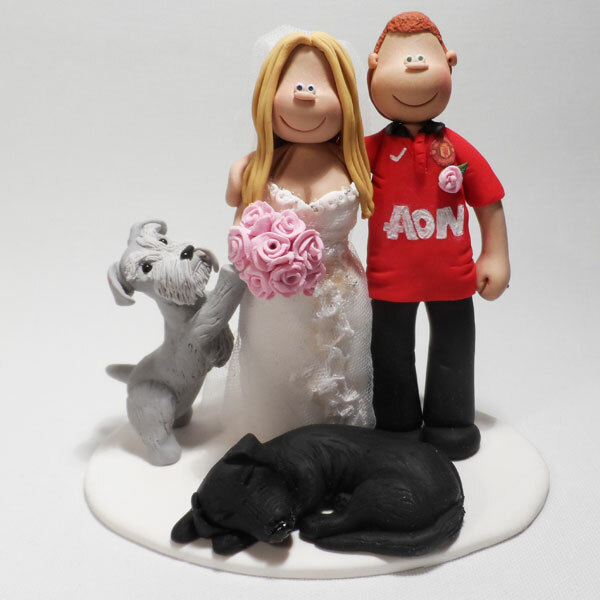 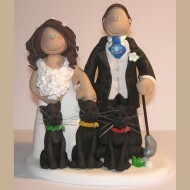 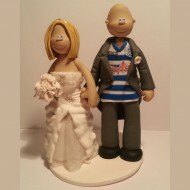 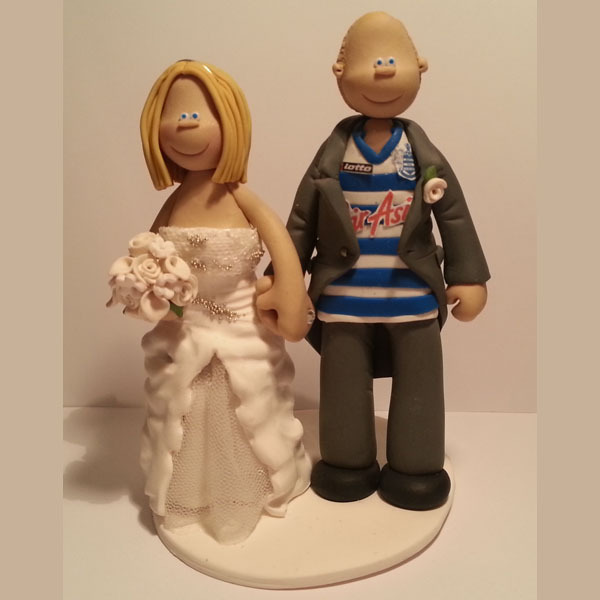 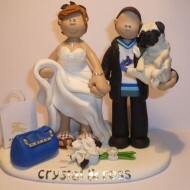 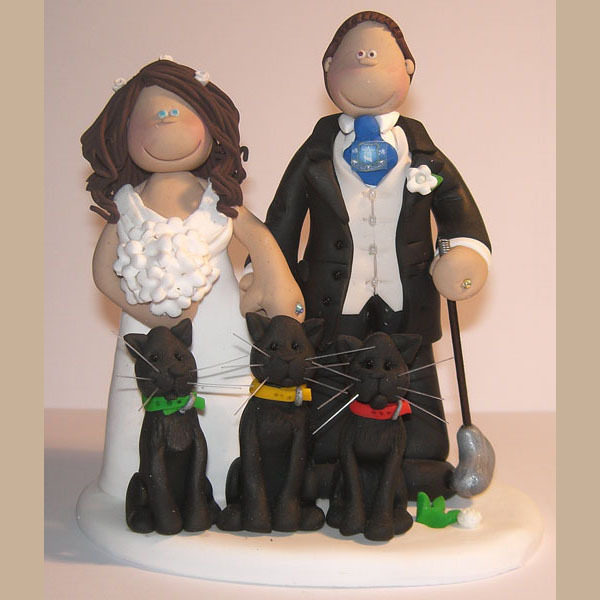 A shopping mad bride with her hockey fan groom & their pug!